With just two fingers from each hand, the healing process can begin. 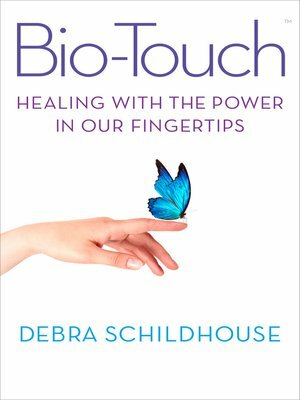 Bio-Touch: Healing with the Power in Our Fingertips is the story of the scientifically-proven, touch-based healing technique proven to alleviate pain, stress, the symptoms of disease, and depression. Debra Schildhouse, an initial skeptic, is drawn to Bio-Touch after feeling helpless to do anything for her daughter's agonizing headaches from viral meningitis. Her search for a method to heal other's physical pain gradually becomes an inner journey of personal healing as she opens her mind, expands her self-awareness, and eventually becomes a certified instructor and practitioner of Bio-Touch. In tandem with her own story, Schildhouse recounts Bio-Touch founder Paul Bucky's story, following the many twists and turns his spiritual path takes him from childhood to adulthood and finally to the discovery of Bio-Touch. Throughout the narrative Schildhouse relates miraculous stories of healing. Touching and often funny, Bio-Touch draws together the many invisible bonds of the universe linking us all together. BIO-TOUCH is made up of seventeen sets of points, each designed to address a particular condition by encouraging the body's natural healing abilities. It is a complimentary therapy that can be used in conjunction with mainstream medicine. Ability to pay is not a criterion for receiving sessions and it is easy to learn—no special talents or beliefs are required. Bio-Touch comes with several diagrams illustrating how to find correct "touch points" on the body.